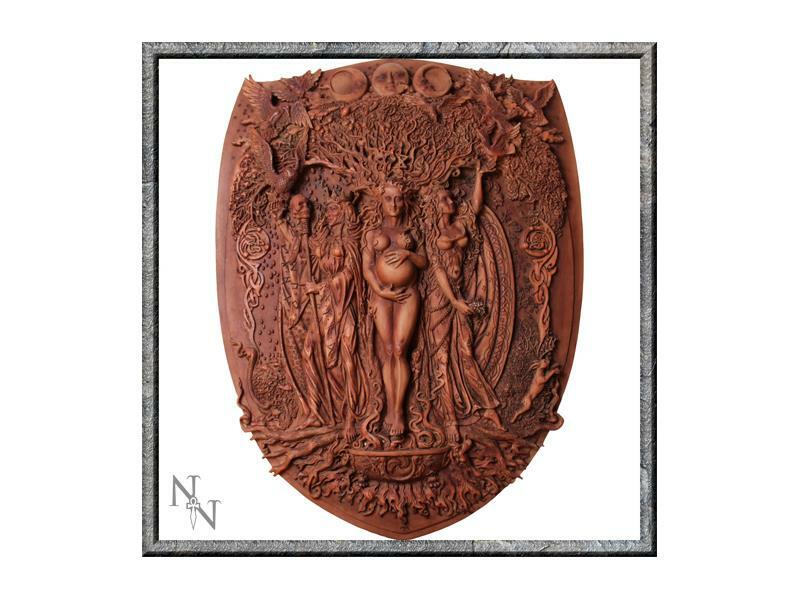 A glorious depiction of the Triple Goddess - Maiden, Mother, Crone. 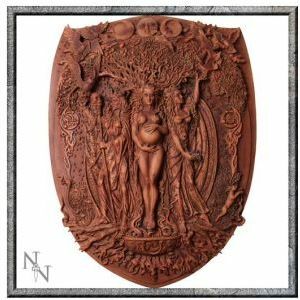 Wonderful detailing depicts the Maiden, surrounded by spring flowers, doves and hare; the Mother, rooted in the life-giving oak tree, Her hair and branches become one; and the Crone, in Winter wood with owl, raven, serpent and skull bearing stave. The waxing, full and waning Moon surmount and protect all. A truly lovely item.